The webinar will bring together top legal and valuation experts to discuss the requirements of FMV and commercial reasonableness in physician practice acquisitions, integrations, and other health care transactions. Pitfalls and lessons learned from recent health care regulatory and enforcement actions involving practice acquisitions and integrations. The “Listen with a Colleague" option allows multiple registrants from the same organization and location to participate in the webinar at a discounted rate. It may ONLY be used if at least one person from your organization and location has registered at the regular/full webinar registration rate. Please note that those who register under the reduced “Listen with a Colleague" rate must access the webinar from the same location and computer as the full-priced registrant they are registered under. The “Listen with a Colleague" option is continuing legal education (CLE) credit-eligible. 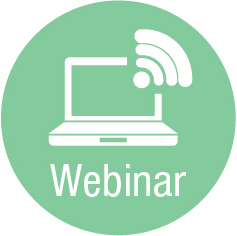 In order to obtain a certificate of completion for submission to a state CLE accrediting body, those registered under this option must obtain the attendance verification code—which will be displayed at a random time during the webinar—and enter that code under “Verification Code for Live Webinar" section of the webinar description webpage. Please note that each registrant must submit a complete evaluation from their individual accounts to obtain a certificate of completion. If you have any questions about this registration option, please contact customer support. Law Department Management Best Practices e.g., best practice and current trends for example, technology uses - billing and contract management systems, department and reporting structure, hiring outside counsel and consultants, policies and procedures, alternative fee structures) (Board training, updating the board, best way to communicate, pitfalls in bylaws and operating agreements, what should you be telling you board in current environment, board composition including promoting diversity). This session will examine the questions and role for counsel in maintaining and/or reestablishing essential revenue streams during and following a disaster, including managing insurance claims, ensuring and restoring proper billing procedures and securing contractual payments against challenges and navigating the Stafford Act to secure government assistance. Note: CLE is offered to AHLA members for this course. Thank you to our webinar series sponsor HealthCare Appraisers Inc.
We plan to discuss current enforcement trends by HHS OCR as they continue to be vigilant in regulating and issuing enforcement actions for HIPAA violations. There is sustained momentum as the number of breach cases continue to grow. Based upon these trends, the speakers will provide participants with tips on ensuring that providers are appropriately combating risk for HIPAA violations through training, supervision and incident reporting. Finally, we expect to have perspectives from either the provider community or cybersecurity insurance companies regarding their perspectives on enforcement and incident analysis. This 2-part series is part of the ongoing collaboration between AHLA’s Medical Staff Credentialing and Peer Review Practice Group (MSCPR) and the National Association for Medical Staff Services (NAMSS). 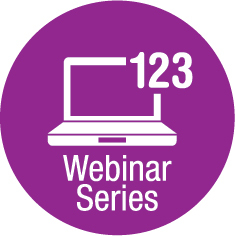 Each year, the MSCPR and NAMSS webinar series takes on medical staff hot topics with a particular focus on how attorneys and medical staff professionals work together effectively to address these challenging issues. How does physician fatigue and burn out contribute to quality/safety issues, disruptive conduct, impairment and other medical staff challenges? This Webinar will address the legal and practical challenges arising from physician burnout, and what gets hospitals and physicians into trouble. It will provide practical pointers on the design and operation of a Physician Well Being Committee as a means of addressing these issues on the medical staff. Medical staffs are increasingly diverse – gender, race, nationality, religion, sexual orientation and disability set some physicians apart from their medical staff peers. How does implicit bias impact how physicians are credentialed, peer reviewed and promoted into medical leadership positions? What are the legal risks and exposures that hospitals should be attuned to – both for employed and independent staff physicians? We will discuss policies, training and best practices to address these issues on the medical staff. This webinar discusses that guidance, as well as tax reporting considerations and other key changes impacting employee benefits programs for health systems. The IRS recently issued Notice 2019-09, which provides interim guidance on IRC Section 4960’s excise tax on remuneration exceeding $1 million and on certain excess parachute payments paid by applicable tax-exempt organizations. This webinar discusses that guidance, as well as tax reporting considerations and other key changes impacting employee benefits programs for health systems. Administrative or specialty arrangements (value drivers, controls, compliance). 1) GDPR Series – Session 1: An Enforcement Update and Deeper Dive into Privacy Notices, Article 30 Recordkeeping, and Consent. 2) GDPR Series – Session 2: Vendor Management – Practical Guidance on DPAs, DPIAs, and Incident Response. Nearly a year ago, a new comprehensive data protection law called the General Data Protection Regulation (GDPR) took effect in the European Union (EU). The GDPR imposes a number of new rules on companies, government agencies, non-profits, and other organizations that offer goods or services to people located in the EU, or that collect and analyze data tied to people located in the EU. This webinar series will review lessons learned from the past year, what practical compliance tips you can implement today, and how to prepare for future GDPR influenced state privacy legislation – in particular, the California Consumer Privacy Act of 2018. Everyone’s favorite four letter word...GDPR. This session will take a closer look at the impact GDPR has had (now that we are one year in) on vendor negotiations; breach reporting; and more. This panel will also discuss how GDPR has influenced state privacy legislation. More specifically, this session will provide you with: a breakdown the California Consumer Privacy Act (CCPA) key requirements; a roadmap for steps your organization should be taking to prepare; tips for tackling data mapping and identifying your organization’s key CCPA stakeholders; and an update on similar legislation that has been proposed (e.g., Washington Privacy Act). © 2019 American Health Lawyers Association. All rights reserved.